Islamabad, April 10: Pakistan Prime Minister Imran Khan wants Narendra Modi to win the Lok Sabha Elections 2019. According to a report published in Reuters, Khan on Tuesday said he thinks that there may be a better chance of peace talks with India if PM Modi comes to power again According to the Pakistan PM, If Congress wins the parliamentary polls, then it would be scared to initiate a peace process with Pakistan. Pakistan Under Imran Khan Did Nothing to Create Atmosphere For Dialogue: India. 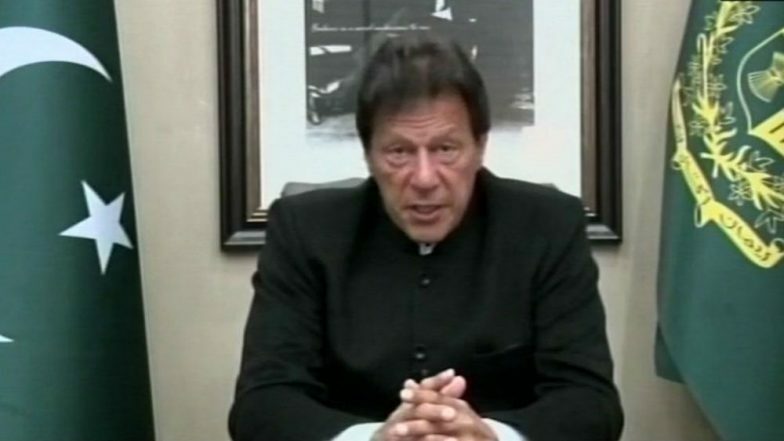 During his interaction with foreign journalists, the Pakistan PM said that some kind of settlement in Kashmir could be reached if the right-wing party wins in India. However, he also alleged that the present government in India is discriminating against Muslims. He also raised concerns on the Bharatiya Janata Party’s resolve to strip special rights from the people of Jammu and Kashmir, which prevent outsiders from buying property in the state. Imran Khan Puppet of Pakistani Military, Saying What Instructed to Do: Ex-wife Reham Khan. The tensions between both Indian and Pakistan accelerated after the February 14, Pulwama Attack in which 40 Central Reserve Police Personnel were martyred. The Pakistan based terror organisation Jaish-e-Mohammed had claimed the responsibility of the attack.